The Swedish summer is hard to beat - weather permitting, that is. Stockholm is so beautifully situated by the water it would be a crime not to make the most of its seaside setting. Who wouldn't want to sit in the afternoon sun and listen to waves lapping against a jetty while enjoying a good meal in the company of friends? To guide you among the islands, jetties and submarines (?) 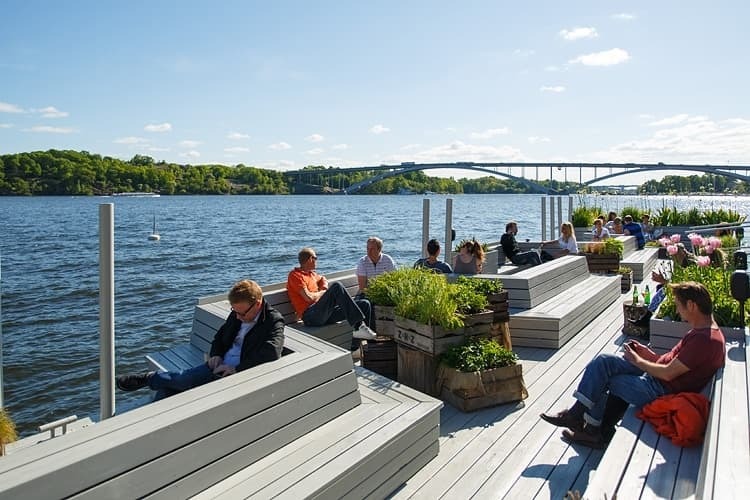 we've listen Stockholm's best waterside restaurants. The criteria for the restaurants in this guide are that you should be able to get to them by private boat and that they shoud be situated close to the city (see also our archipelago guide for restaurants further out, or in, the archipelago). Alongside Norr Mälarstrand's walking path lies Mälarpaviljongen which has become a real summer favourite. An idyllic, lush green oasis which flies the rainbow flag and has been mentioned by the prestigious Conde Nast Traveller. With a focus on organic and fairtrade products, this restaurant attracts people of all ages, from lively groups of friends, to families and couples. 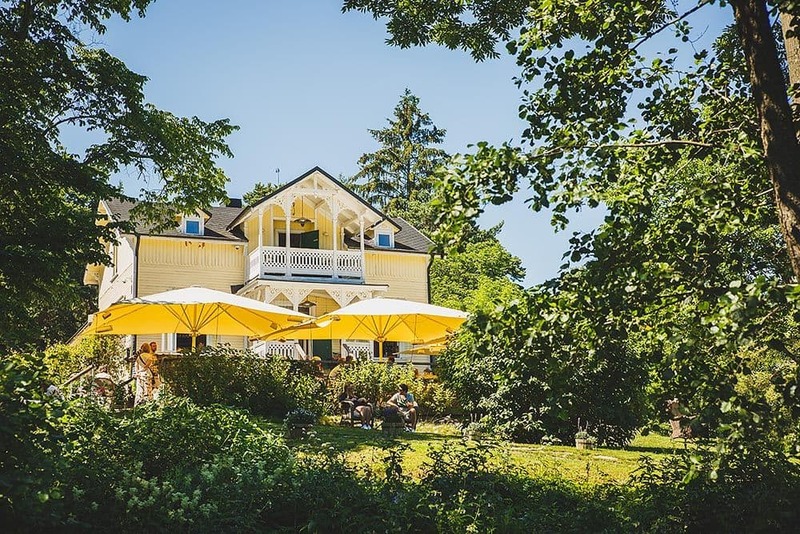 There's been a restaurant on Fjäderholmarnas Krog's premises for several hundred years and the restaurant has frequently been mentioned in the prestigious Guide Michelin. 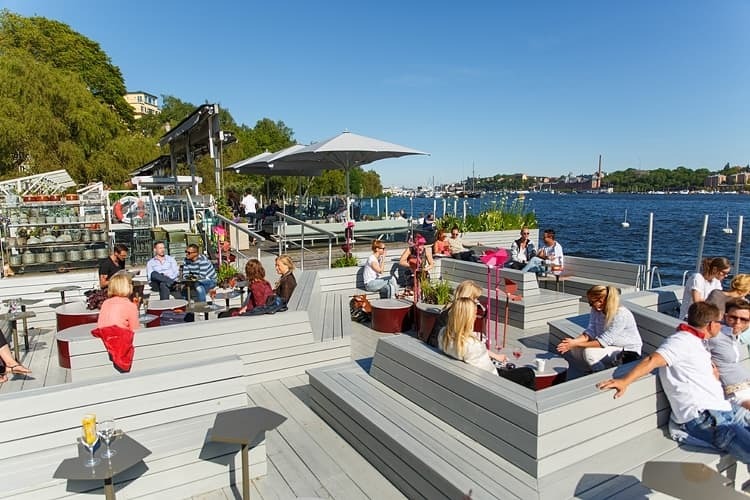 This popular classic is beautifully situated by the water only 25 minutes by boat from central Stockholm. Typical archipelago dishes are served based on the seasons and wonderful Swedish summer flavours. 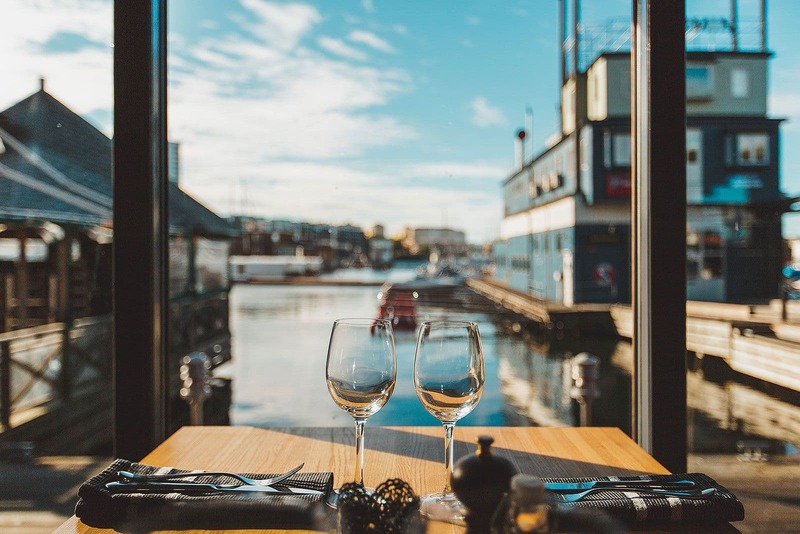 K4 is a waterfront neighbourhood restaurant that complements its marine atmosphere with lots of grilled and smoked food on the menu. Brunch and lunch are served all year round, and hedonists can sun themselves on the large outdoor area right by the water during the summer months. Perfect walking distance from Vasastan and the city centre. 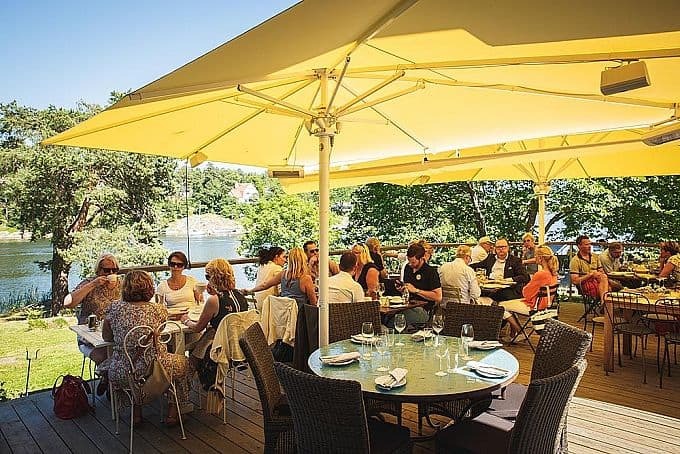 Restaurant J is situated by the water's edge in Nacka Strand. 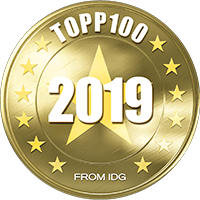 There are obvious influences from the American East coast, both in terms of the interior and the fabulous mix of international and Swedish flavours that are served. When the outdoor seating area is open some 250 guests can enjoy both the food and the setting. With a fantastic view over the entrance to Stockholm's harbour lies Pier 16. 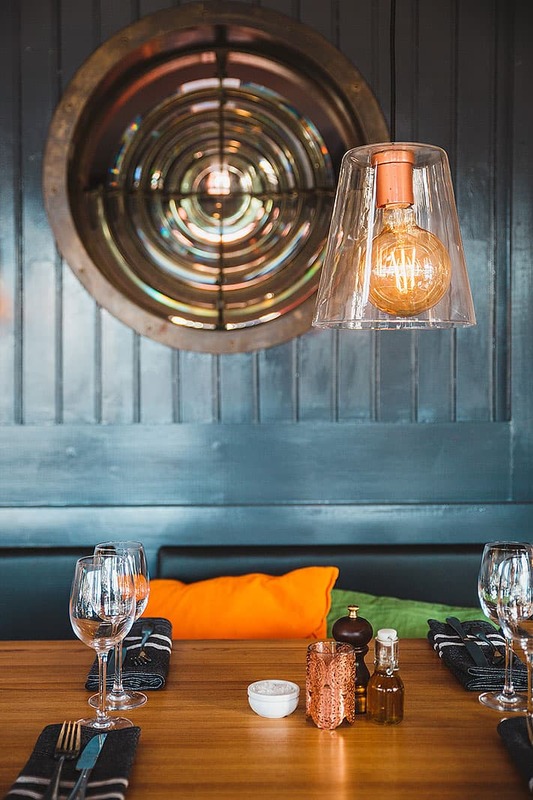 The name refers to the pier in front of the restaurant but also to the American East Coast - whose influence is reflected in the stylish, trendy decor. The menu focuses on well chosen, fresh ingredients in the form of classic archipelago dishes as well as innovative international influences. Historic Villa Källhagen out on Djurgården (a short walk from Djurgårdsbron bridge) has its own jetty for anyone prefering to make their entrance by boat. They serve a summer menu with both Swedish and continental flavours, and a special children's menu. 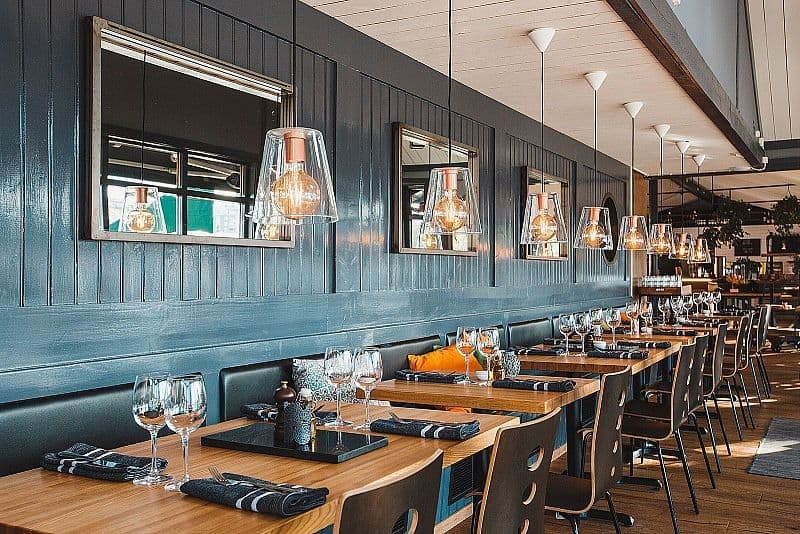 As close to the archipelago as you can get, but only 20 minutes from Stockholm, you'll find Holmen Kök & Bar. Both classic and trendy internationally influenced dishes are updated regularly and served on a jetty warmed by the evening sun. The atmosphere is both relaxed and lively - people of all ages gather at Holmen, regulars as well as seafaring tourists. Fisksätra's marina has got an exciting new addition with this archipelago gem. The stunning view almost pales in comparison to the extensive menu, where classic dishes vie for place with wood-fired pizza and exotic sushi. Right by the water's edge in Bromma, in a pretty pavilion-like building with a large al fresco dining area on the jetty, you'll find this idyllic summer spot with stunning views over the water and traditional Swedish dishes on the menu. Come by car or cruise in by boat. 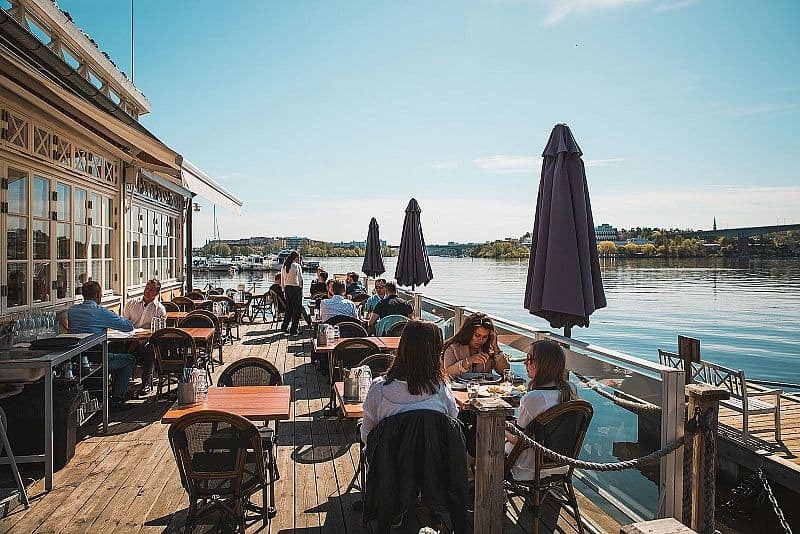 In Stockholm's inner archipelago just a short trip by boat, bike or car from the bright lights of the city lies Bockholmen. An idyllic little island between Edsviken and Brunnsviken providing rural calm for even the most stressed of city dwellers. 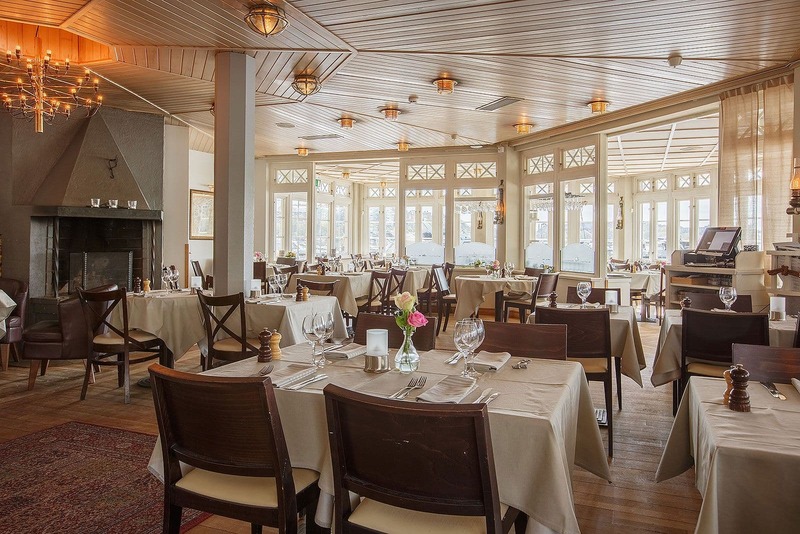 A regularly updated sophisticated menu is served in the beautiful 19th century villa. You'll find Loopen underneath Liljeholms bridge, alongside Hornstulls strand. Caribbean beer and a selection of cocktails are served on the jetty beneath plastic palm trees. Chill out in the deckchairs and daydream about tropical islands or check out the extensive menu which includes everything from nachos to herring. 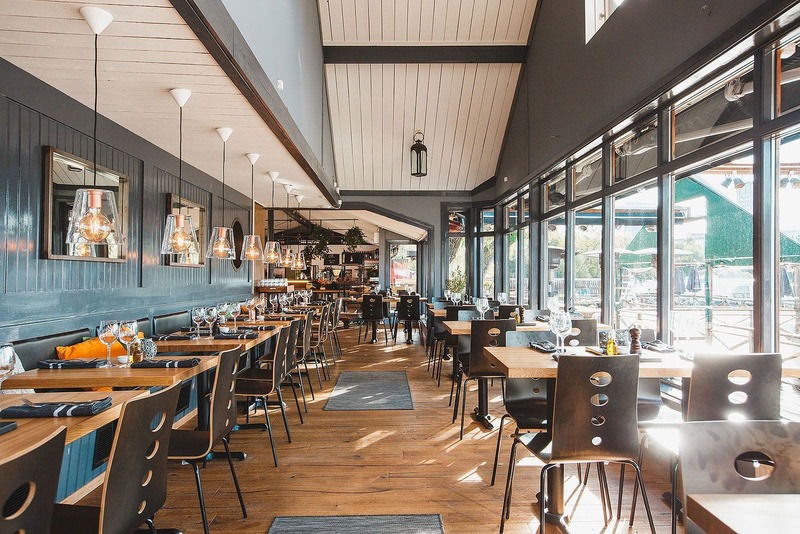 Piren's open, lakefront location by Hornsberg Strand draws in diners in both summer and winter. A modern neighbourhood restaurant feel in a slightly industrial format with floor to ceiling glass walls. Enjoy the unpretentious atmosphere with a dip into the big blue and finish off the evening with a good meal. 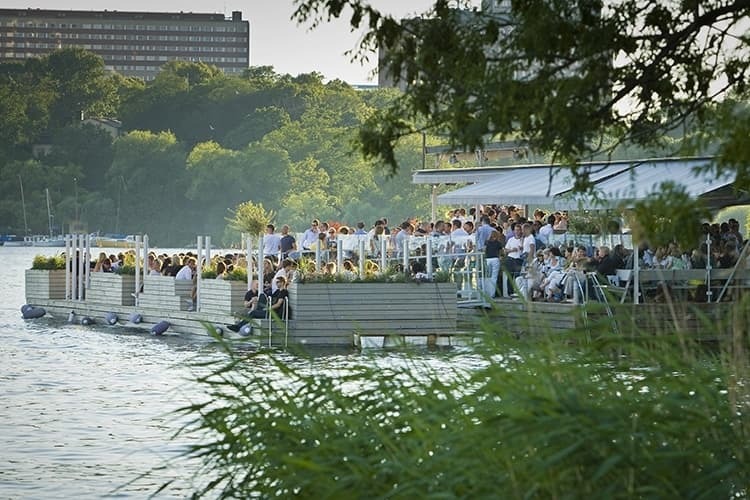 The guide to Stockholm's best waterside restaurants is updated regularly. You can email us at hello@thatsup.se. Please also let us know if you find any errors in the guide.